Over the past few years a variety of commentators have questioned the need for a college education. Skyrocketing tuition costs and an increased demand for jobs that don’t require a college degree are often cited as reasons to consider skipping the university experience. And while college certainly isn’t for everyone, overall it’s a poor bet financially to skip the higher education route. According to the Census Bureau’s Current Population Survey, in 2011 the median income of a high school grad who never attended college was $28,659; for those with some college but no degree, it was $32,036. By comparison, college graduates without advanced degrees had a median income of $49,648. Those with professional degrees had a median income of $87,356, more than three times that for high school grads. Each year, the individual with a bachelor’s degree earns $20,989 more than the individual who only has a high school diploma. That adds up to a difference of more than $100,000 every five years. That said, the benefits of a college education go far beyond dollars and cents. Some four decades after being discovered off the coast of New Jersey, scientists have finally been able to attach a name to a ship that sank more than 150 years ago. 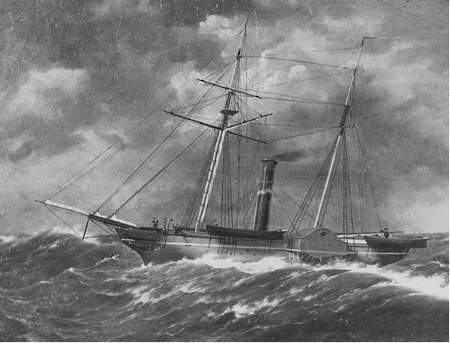 The Robert J. Walker, a US Coast Survey vessel, sank in 1860 after being struck by a 250-ton commercial schooner. Twenty men aboard the Robert J. Walker lost their lives. The accident was the worst in the history of the US Coast Survey or its successor, the National Oceanic and Atmospheric Administration. The wreck was discovered 10 miles off the coast in 85 feet of water by fishermen in the 1970s. However, its identity was a mystery until June when a National Oceanic and Atmospheric Administration ship conducting surveys for navigation safety in the aftermath of Superstorm Sandy made a positive identification, according to Reuters. Scientists used the wreck’s location and unique features such as rectangular portholes and engines to make the positive identification. Newsflash for the half-dozen of you who happened to stumble across this blog today: Pop culture ain’t my thing, and it ain’t been my thing for a long, long time. An example of my indifference to pop culture: I don’t think I’ve ever watched an awards show of any stripe. Not the Oscars, nor the Grammys, certainly not the ESPYs, and especially not anything put on by MTV. I’ve got no problem with those that enjoy that sort of thing, it’s just not for me. That said, the most recent hullaballoo over a young strumpet making a fool of herself in public, this time at something called the VMAs, is hardly surprising. If anything, it’s utterly predictable. Given the seemingly endless parade of puffery and self-promotion that is at the core of today’s awards shows, an “artist” has to work harder and harder to generate publicity. And you know what – it pays off every time. The more outlandish the artist, the more notoriety they generate. Miley Cyrus earned herself millions of dollars of free publicity Sunday evening because Western media no longer wishes to differentiate between news and nonsense. A decade ago, Southern tobacco auctions appeared set to go the way of mule-and-plow farming. For more than a century, the sign-song chant of auctioneers had wafted through tobacco warehouses from Virginia to the Carolinas and beyond, as buyers and farmers did business in towns big and small across the region, the sweet aroma of cured tobacco ever-present as crop and cash changed hands. That began to change in the 1990s as tobacco companies increasingly entered into contracts directly with growers to grow the crop. By the early- to mid-2000s, tobacco auctions were no more. It seemed the late-summer ritual that was as much a part of the area as NASCAR and fish camps was gone for good. 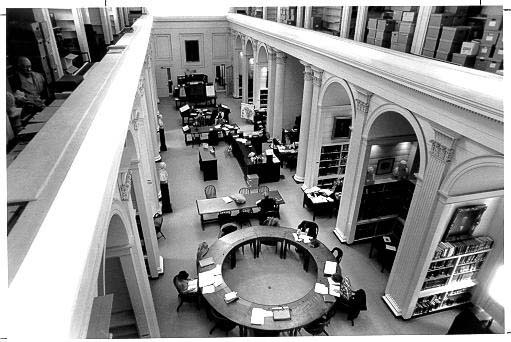 Now, however, the tobacco auction appears to be making a comeback. Auctions have been held this year everywhere from Danville, Va., to Wilson, N.C., to Lake City, S.C. The auction provides a broader marketplace for growers to bring their tobacco bales without worrying about big tobacco company regulations, auctioneer Jim Lynch told the Florence (SC) Morning News. “The main thing is they don’t care about what the moisture is, how much it weighs and those are some of the hoops big tobacco is making them jump through,” said Lynch, of Carolinas Tobacco Auction in Lake City. “Just like we have 32 bales right here that the moisture was I think one tenth of a percentage high and they expected him to haul it all the way back home and go through it and then bring it back. The most valuable piece of marble in the United States is said to rest in the rotunda of the Virginia State Capitol in Richmond, Va.
Jean-Antoine Houdon’s sculpture of George Washington, completed in the early 1790s, is insured for $50 million. Carved from Carrara marble, it depicts a life-sized Washington. Standing 6-foot-2-1/2 inches, Washington’s right hand is on a cane while his left arm rests on a fasces, on which is slung his cape and sword. At Washington’s back is a plow. He is shown wearing his military uniform; Washington wished to be depicted in contemporary attire, rather than that of antiquity popular in Neo-classical sculpture. 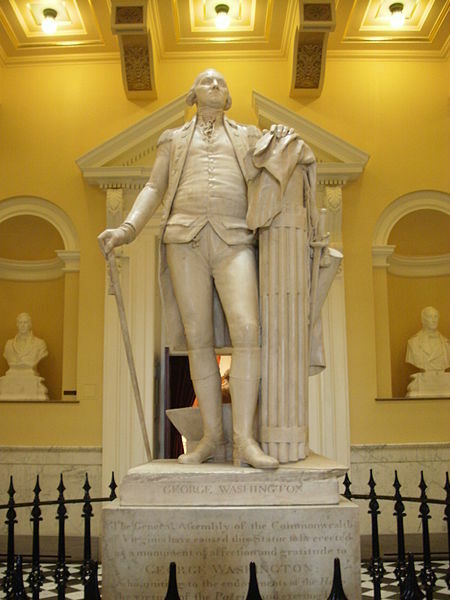 The statue is so realistic that Washington’s uniform is shown missing a button toward the bottom of his waistcoat, just as his real-life uniform appeared at the time. “Houdon’s statue alludes to the similarities between Washington and the ancient Roman General Cincinnatus who, when Rome no longer needed him, gave up his military power and returned to the simple life of a farmer,” according to the website of Virginia General Assembly. “The artist carefully balanced the military and civilian elements of Washington’s career: his sword is by his side, and he rests his left hand on a fasces (a bundle of rods, which was a Roman symbol of power), but he carries a civilian walking cane and stands next to a plow. 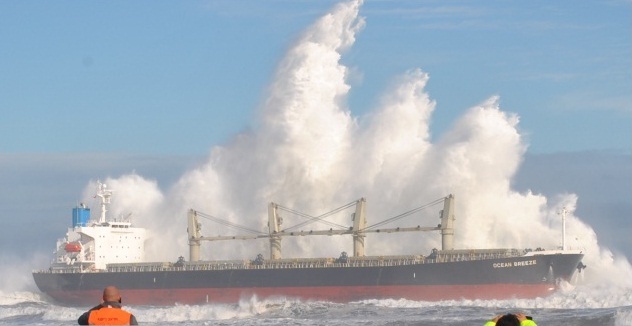 The bulk carrier MV Ocean Breeze, seen above, ran aground earlier this week near the port of San Antonio, Chile. Chilean Navy helicopters rescued the crew of 24, but the ship was battered by massive waves after it dragged its anchor and came to rest near the beach. The vessel, flying a Hong Kong flag, carries a cargo of wheat and soy beans. The above image was submitted to the blog gCaptain by Captain Eric Omar Rodríguez Aracena. More images and videos can be found of the Ocean Breeze in distress on the gCaptain blog. Prior to the War Between the States South Carolina’s Fairfield County was among the most prosperous areas in the state and the nation. A good part of this wealth, it should be noted, was in the form of slaves. According to U.S. Census data, Fairfield County population’s in 1860 included 15,534 slaves. A decade later not only were all those individuals freed, but the county’s population of blacks had decreased by 9 percent, to approximately 14,100. In addition to the above loss of “property,” Union troops had done severe damage to the county seat of Winnsboro, burning much of the city in the waning days of February 1865, shortly after having laid waste Columbia, S.C., to the west. So by the following year, with many of the county’s able-bodied white males dead or crippled from the war, a significant percentage of former slaves having moved from the area and general destitution evident throughout the region, residents were desperate. One plan hatched was to try to create a silk industry in Fairfield County. 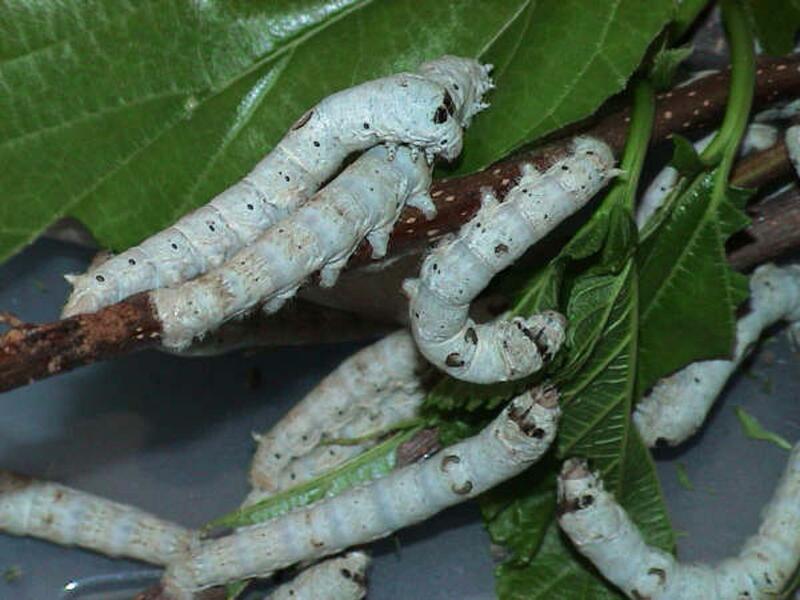 Katharine Theus Obear, writing in 1940 at age 88 in Through the Years in Old Winnsboro, recalled that a supply of silkworms were acquired and distributed to individuals in the county.